13 Brothers, I do not consider that I have made it my own. But one thing I do: forgetting what lies behind and straining forward to what lies ahead, 14 I press on toward the goal for the prize of the upward call of God in Christ Jesus. The best worship teams continue to grow and develop over time, and while you want to see stability and commitment from your team members, stagnation is not what you want to see in your worship. So are you gearing for growth, are you stuck in a rut (which is just a grave with the ends knocked out after all)? In this podcast, we look at not only the growth of your worship team but also of your worship ministry. Are you growing in the things of the Lord, and are you growing in your ministry, getting better and better, and getting more anointed and powerful as the years go by. With the years of experience our team has, we are still always looking to grow and improve everything we do. So grab a cup of coffee (or tea) and sit back and enjoy this week's pod. It's time to forget what is behind and concentrate on what is ahead, straining towards excellence and gearing for growth in your team and in your own personal walk with God. 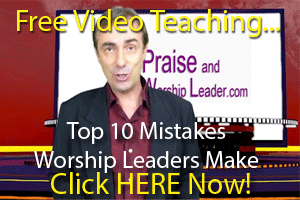 And click here if you want to improve your worship leading abilities! Are you gearing for growth in your worship team? 13 Brothers, I do not consider that I have made it my own. But one thing I do: forgetting what lies behind and straining forward to what lies ahead, 14 I press on toward the goal for the prize of the upward call of God in Christ Jesus. The best worship teams continue to grow and develop over time, and while you want to see stability and commitment from your team members, stagnation is not what you want to see in your worship. So are you gearing for growth, are you stuck in a rut (which is just a grave with the ends knocked out after all)? In this podcast, we look at not only the growth of your worship team but also of your worship ministry. Are you growing in the things of the Lord, and are you growing in your ministry, getting better and better, and getting more anointed and powerful as the years go by. With the years of experience our team has, we are still always looking to grow and improve everything we do. So grab a cup of coffee (or tea) and sit back and enjoy this week’s pod. It’s time to forget what is behind and concentrate on what is ahead, straining towards excellence and gearing for growth in your team and in your own personal walk with God.